I love how it can be dress up or dressed down. I added some of my Paparazzi Accessories to step it up just a little, but I often wear it as a plain tee. The RIDE ON is really a great reminder for me right now – – I’ve mentioned it before, but we’re in the process of building our own home. Not like “pick a wall color and the contractor will do the rest” but like “grab a hammer and get to work, we’re building a house”. You can follow our house-building adventures over on a blog dedicated to just that: Building Beyeler Hollow. Anyways, thinking of it all is pretty overwhelming. We’ve sold our current house and move in a little over a week. But our new house doesn’t even have walls. And so in the meantime we’re going to stay with my parents. There’s a lot going on, but if I remember to just “Ride On” – it’s a reminder, one thing at a time. Just keep going, and as long as you’re going, you’re on the way. Just keep going….. 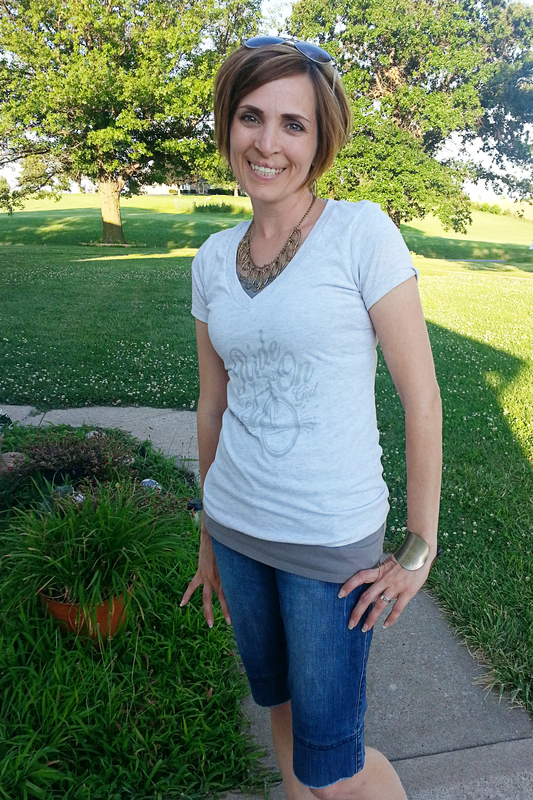 I love My Sister’s Tee, and we give to give 10 away – yep, 10 lucky winners, each get a shirt – whoop whoop! Cindy recently posted…Wednesday in the Word-How does your husband treat his mother? LOVE this tshirt! I’m always looking for a good fitting tee! I wear them all the time, dressed down or up! I didn’t realize you guys had a blog dedicated to your house being built – that’s awesome!! Good luck with the move, I know how crazy it can get at times 🙂 I like the way you styled the shirt with your accessories – that gold bracelet is gorgeous! Great shirt and message Mandy…I love it! love the “BE THE GOOD, V-NECK” ..
Love that necklace, I wore the same one the other day! Love the Be the Good gold foil dolman! I love the Grande Aspirations tee! I also love the Ride On V-neck tee! 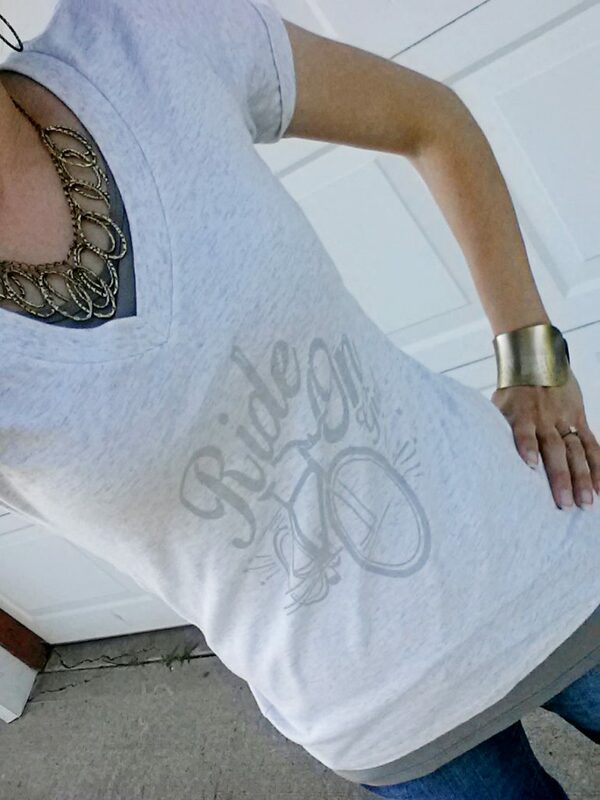 I love the Ride On Girl – Dolman tee! These are super cute! I like Ride on t-shirt. I love the Dreamer of Dreams Dolman. It’s gorgeous! I love the “Dreamer of Dreams” dolman. i love the curved hem. I love the BE GOOD in pink…so cute!! I would love to be young enough to wear a Tee with the Tulle skirt and boots, so cute. But on an overweight 55 year old, it wouldn’t work. Couldn’t find a place to comment on their blog.